About the Book: 6 Hackers, 1 Game... and 10,000 Undead. About the Author: Saul writes in several speculative fiction genres, including horror, cyberpunk, biopunk, and straight science fiction. A former Army medic and trauma specialist, he earned a PhD in molecular biology and genetics; his works are heavily informed by these past experiences. Saul spent his formative years in a century-old house overlooking the Erie Canal in Upstate New York. He shared an attic room with all manner of creatures, not all, he is convinced, flesh and blood. After several years spent overseas and working his way to executive positions in biotech, he returned to his true passion of storytelling. He now writes full time from his home in the San Francisco Bay Area. He continues to be haunted by a variety of creatures, including a wife, kids, three dogs, three cats, twenty chickens, a wayward rooster, and one very grumpy possum. They are all flesh and blood. Except for the possum, which he's sure is the reincarnated spirit of Jack Torrance. My Review: This is a very well written book with a very intense story-line. It is the sequel of "Deadman's Switch", episode three of this series. This is supposed to be the fourth of an eight series book, so it does not stand by itself as a story. It starts where episode three ended and finishes with a hook to the next episode. The plot is interesting and will keep you reading on the edge of your chair for most of the book. The characters are well developed and the scenario is so richly described that you feel you are inside the story. 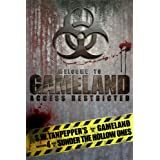 In episode one we saw a group of game hackers deciding to break into Long Island's Gameland, a place where nobody lives, because of an outbreak that happened twelve years before. All population that survived the outbreak were evacuated. Now the only entities that inhabit that wasteland are the zombies. Their adventure starts with a poorly planed trip idea and tension escalates during preparation for the trip and execution of the trip. They soon figure out that it is easier to enter than to leave the Island... In episode two, after trying to leave the Island, Jake is trapped and left behind, so Jessie wants to return to rescue him. Kelly anticipates her move and goes alone for the rescue. Then the whole group unite again, trying to bring them home. It fails badly and the whole original group plus a new member (added by accident) are back in the Island and facing some more mysteries. In episode three, Steven is an employee from Arc, doing some experiments on our group with new drugs to create an improved version of zombie. But before they were injected, they manage to escape from La Guardia Airport and go in the direction of Gameland. When arriving there (after lots of incidents and twists in the story), they find out some answers to questions they had from Steven and they were not happy about what they discover. In this episode four, the group is in the heart of Gameland, trying to break the failsafe mechanism that could allow them to go back home. One of the members of the group is bitten and infected. More revelations happen. This book was written by Saul W.Tanpepper in July 2012. I recommend this book to the permanent library of all thriller lovers, young adults or not. But be aware that you should read the previous episodes before reading this one, so you can understand what is going on and the interaction among the characters. If you enjoyed the first three, you will love this fourth book in this series. 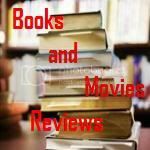 If you read my review, feel free to leave a comment!